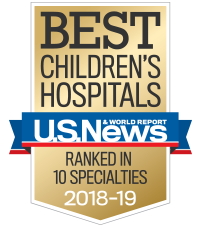 Children’s is dedicated to making the kids of Alpharetta better today and healthier tomorrow by offering access to pediatric specialists in endocrinology, nephrology, rheumatology, and scoliosis and spine. Children’s at North Point also offers an urgent care center. When your child has a minor injury or illness and your family's pediatrician is not available, Children’s Urgent Care is here for you especially on evenings, weekends and holidays. The Children's Physician Group rheumatology team is involved in the diagnosis, treatment and follow-up care of children and teens with a wide range of rheumatic diseases. Our team also collaborates with our pediatric allergy and immunology practice to treat congenital (present at birth) immune deficiencies.